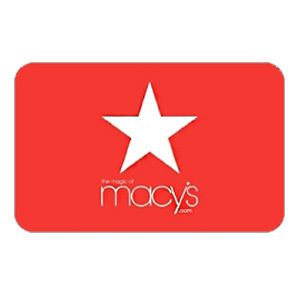 Your macys.com E-Gift Card number may be used to purchase any merchandise on-line at macys.com (US), and in-store by following the instructions in the E-Gift Card email. You may not add value back onto the E-Gift Card, nor redeem it for cash or apply it as payment or credit to your credit card account. When you make a purchase with your macys.com E-Gift Card number, the value of your purchase plus any shipping/handling fees and sales tax, if applicable, will be automatically deducted from your "open to buy". You may check any remaining value via the online Balance Inquiry function, or in-store by scanning the barcode at a price checker terminal, or by calling 1-800-511-2752. Please safeguard your macys.com E-Gift Card number. The bearer is responsible for its loss or theft. If your E-Gift Card is lost or stolen, and you have proof of purchase, we will issue you a replacement for the balance shown on our records. Your macys.com E-Gift Card number is required for all inquiries. Your macys.com E-Gift Card never expires. Please Note: eGift Cards are Non-Refundable.